This petition has been created by Pablo D. and may not represent the views of the Avaaz community. 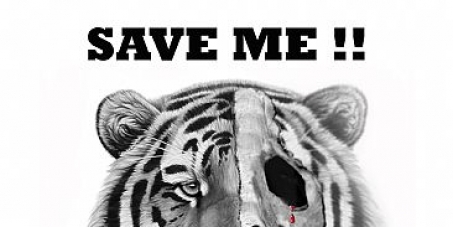 China is allowing the sale of captive-bred tiger skins and body parts. They are denying a UN agreement which calls for such trade to be banned. The conditions in these farms are horrible! Images appeared on in our mailbox showing deceased tigers from these camps. Our staff was shocked but decided to publish them. Warning, these images are not for the weak-hearted. Something needs to be done! There are just 3200 wild tigers living in the wild and over 5000 held captive in these tiger farms! These creatures deserve a worthy life and we want to give it to them. If we move as one, we can make a change! No tiger cub deserves to be born into a life of suffering and eventually be killed for its fur, and other parts used for "chinese magic" or bogus potions.